Filipinos love Japanese culture for various reasons. You could be an admirer of their culture of politeness and punctuality. There's also their delectable cuisine (ramen, sushi, and other mouth-watery goodness). Or you could be a fan of Japan's cultural icons such as Pikachu, Godzilla, and FHM cover girl Maria Ozawa. (Umamin ka!) But if only Maria Ozawa and Sadako are the names that come to your mind when talking about Japanese movies, then you seriously need to improve your literacy on their films. Fortunately for movie-loving Pinoys, The Japanese Foundation in Manila is currently holding EIGASAI 2016 at the UP Film Institute, Cine Adarna, and Ayala Center Cebu where they will be showing a collection of great Japanese independent films. You know what the best thing about it is? It's free. Let me repeat that because it bears repeating: FREE ADMISSION! 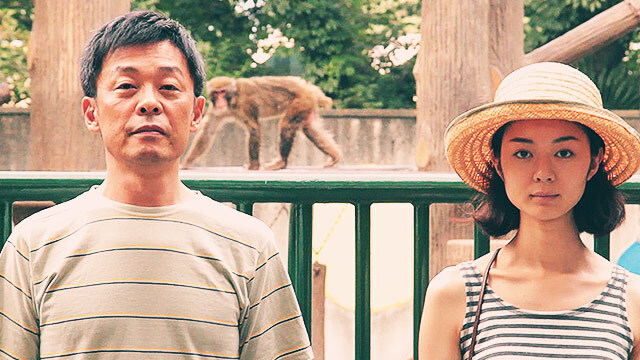 One of the movies screening in EIGASAI 2016 is the Japanese independent film August in Tokyo. It's directed by one of the leading up-and-coming directors in Japanese cinema today, Ryutaro Nakagawa. The plot tells the story of Natsuki (Eriko Nakamura), a woman who delivers food in Tokyo. One day, a young man visits her and tells her that her estranged father that abused her when she was a child is ailing. Even though Natsuki hates her father, she decides to visit and take care of him. Meanwhile, Natsuo (Takashi Okito), a Yakuza member undergoing a moral crisis supports himself by collecting debts. Wanting to leave that kind of life, Natsuo decides to visit his drug-addicted younger sister and helps her reform her life. Natsuki and Natsuo, two troubled souls in the sweltering heat of Tokyo. The plot might sound like your run-off-the-mill drama, but it's not. 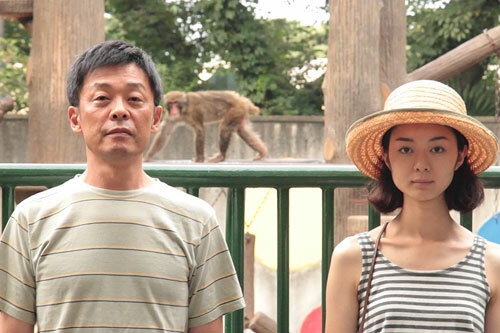 I won't tell you how and why to give you the chance to experience it for yourself but August in Tokyo is probably one of the most emotionally-satisfying and original movies I have seen all year. During its screening, it received three rounds of applause and the ending actually gave me goosebumps, but not the adrenaline-fueled kind that a Marvel movie can give; this one had me mindblown and heartblown, a feeling I only get when I've just experienced a great movie. August in Tokyo weaves between the stories of Natsuki and Natsuo, depicting how their estranged relationships with their loved ones mirror one another. They take on the challenge of helping out the ones they love while at the same time trying to keep their own lives from crumbling as well. It's a situation that the Filipino audience can relate to because it has probably has happened to us at one time or another. Whether it's by our own fault or because of unavoidable circumstances in life, we've all been in tough situations. And the only way to get by is through a combination of hope, forgiveness, and having a sense of humor. Those three things is really what August in Tokyo is about. One of the things I liked about the movie is how it manages to be melodramatic and kengkoy at the same time. Some scenes can get pretty heavy at times but it's compensated by scenes of Natsuo unexpectedly busting out his moves in an awkward dance. It's probably a treatment you won't see being done in Hollywood and even our local movies. The movie boasts of an ensemble cast of acclaimed actors in Japanese cinema so the acting from top to bottom is top-notch. The great thing about watching foreign films is that it shows us how different cultures treat film as an art form. It gives us a glimpse at their culture and way of life because other than the subject matter itself, it reflects on their filmmaking style as well. Japanese culture has been known to be introspective and meditative and it shows in this movie, with the director focusing on how his actors interact with the environment and how they express their emotions. If you're looking for something different, then check out EIGASAI 2016. Screenings will be held at the UP Film Institute until Saturday but it's also being held in other cities such as Baguio and Cebu. Head down there if you have nothing better to do this weekend. So that when you go out on a date in the future, you can impress her with your knowledge of Japanese films and culture. Just leave out the parts about Maria Ozawa and your addiction to Sailor Moon. 9/10. 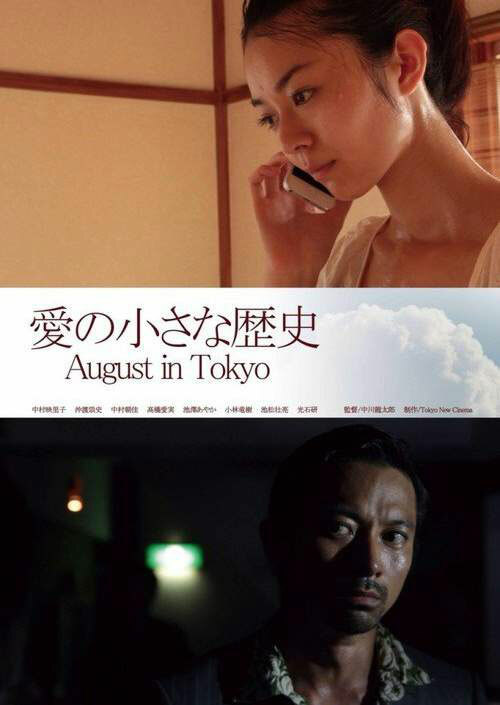 August in Tokyo is a brilliantly-made and emotionally-satisfying Japanese drama that serves as a nice representation of Japanese cinema and culture. It's a must-see for fans of foreign films and Asian cinema. Rey de la Cruz Jr. likes talking about films as much as he likes watching them. He runs www.reyview.org, a site that provides Filipino moviegoers with reviews written in a voice that is uniquely Pinoy.